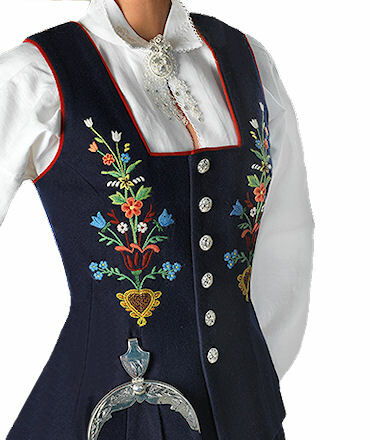 Bunad is the traditional Norwegian folk costume that comes in many varieties, and 70% of Norwegian women own one. There are several rules on how to wear it and what the composition of textiles, colors and embroidery symbolize. To own one, you got to have a geographical affiliation to the district of origin. There are hundreds of variations of Bunads in Norway, all with their individual history and composition. Traditionally, the colors and embroideries were composed using local material, like sea weed for coloring and flower details in the embroideries. In the old days, the embroideries on some shawls used to describe what kind of marital status the woman had – white color meant single, colored meant married and black symbolized a widow. Today, this has less meaning when you choose your costume. Learn more about Bunads here. A Bunad is ‘a once in a lifetime’ investment. It is sewn in a certain way so ‘it grows with you’ – you can easily adjust the shape and size. 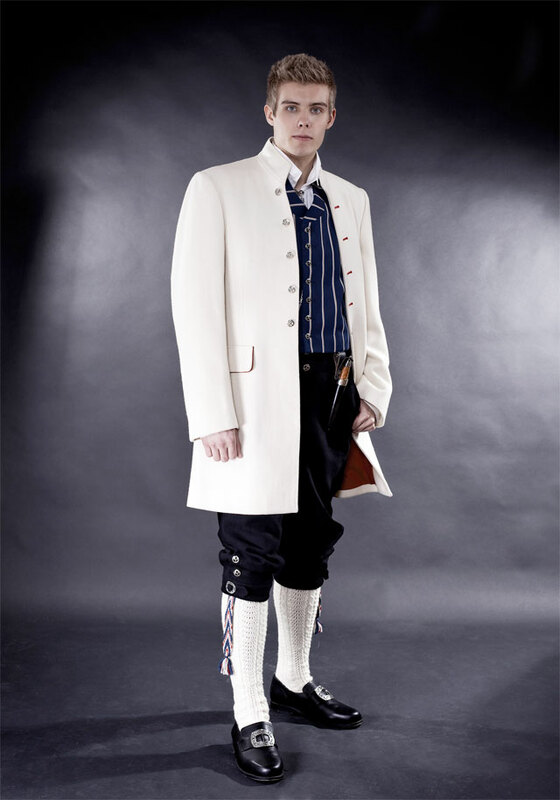 Bunad is traditionally worn on the 17th of May, the Norwegian National Day. It is a spectacular sight watching thousands of women, men and children parading in their finest garment celebrating Norway’s constitution, adopted in 1814. 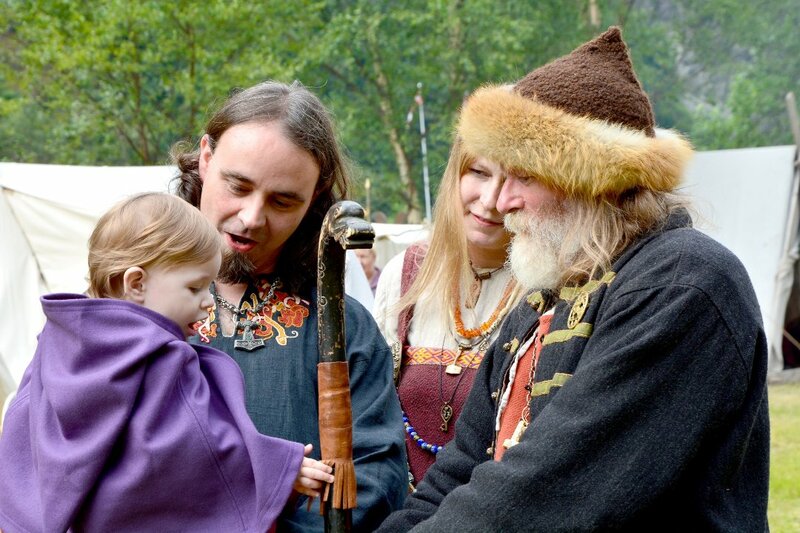 Editor’s note: Be sure to follow ThorNews the next months, as we will present some of the Bunads with their history and details.